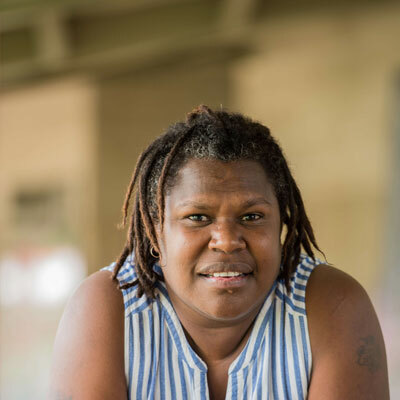 Lockhart River Arts Indigenous Corporation receives current funding from the Australian Government through the Department of Communications and the Arts under the Indigenous Visual Arts Industry Support (IVAIS) program. 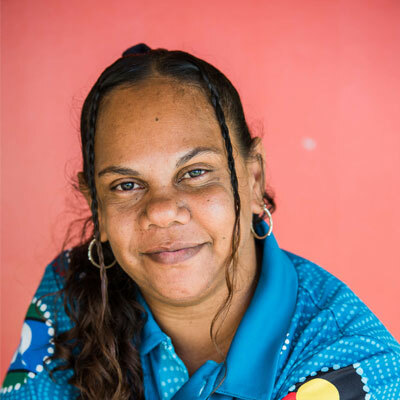 The Corporation also receives current funding from the Queensland Government through Arts Queensland's Backing Indigenous Arts initiative (BIA) program and the Regional Arts Development Fund (IRADF). Business Hours: Monday to Friday 9am-3pm. Free entry. Lockhart River Arts Centre is proud to be associated with Euan Hills, owner of Art Mob Aboriginal Fine Art Gallery in Hobart Tasmania. On Monday 1 April 2019, Art Mob celebrated 17 years of successful operations as an ethically responsible art gallery and dealer of Indigenous Australian arts from a diverse geographic representation of communities, groups of artists and individual artists. Art Mob currently accounts for 32% of actual gross sales share of business to Lockhart River Arts Centre annually and allocates 2 group exhibition slots to Lockhart River Artists annually. 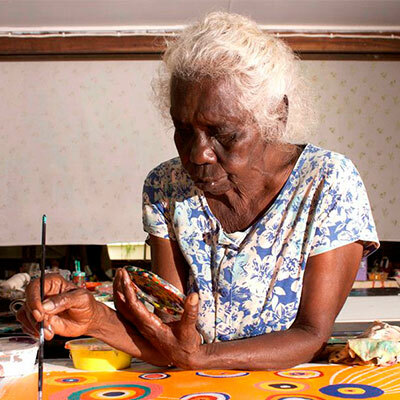 The National Gallery of Australia (NGA) is currently exhibiting an artwork by Elizabeth ‘Queenie’ Giblet at their Aboriginal and Torres Strait Islander galleries, Level 1 at Parkes PI E, Parkes Canberra ACT Australia. 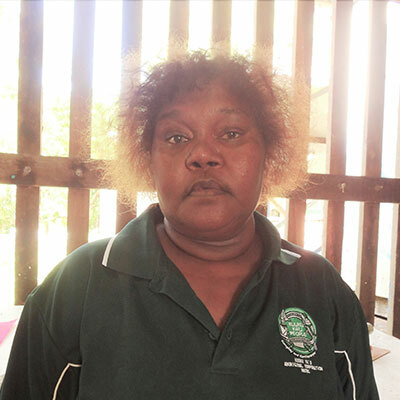 Elizabeth Giblet is a senior Umpila elder who was born at the Lockhart River ‘Old Site’, the original mission station before the Second World War. Her painting on exhibition is titled 'Pa’anamu (headbands) for Laura Festival' 2008 where she painted traditional weaving practices used also for making dance-wear for ceremonies. 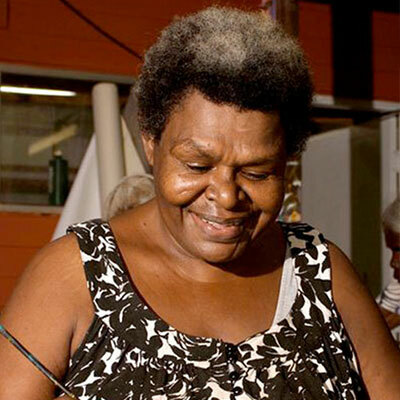 Lockhart River Arts Indigenous Corporation is the trade mark owner of the trade mark “ART GANG” under trade mark number 1122896. Lockhart River Arts Indigenous Corporation is also the trade mark owner of trade mark “LOCKHART RIVER ART GANG” under trade mark number 1122895. IP Australia has recorded the assignment of rights to Lockhart River Arts Indigenous Corporation effective 7 November 2016. Details of our trade mark can be viewed using the Australian trade mark search on www.ipaustralia.gov.au. 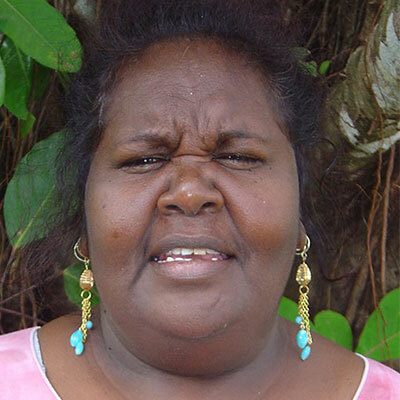 Lockhart River Arts Indigenous Corporation does not sell directly online through this website. For buyers intending to purchase directly from our Art Centre in Lockhart River, please navigate to our Contact Form page and submit your initial enquiry. As part of our long term growth strategy we will activate our online shop directly from this website. Watch this space for future updates for our new online shop. We recommend buyers establish contact in the first instance with our partner galleries as they stock a wide range of artworks from artists from Lockhart River. Please click on the website of each partner gallery listed below to take you straight to their online shop. Musée de l'art aborigène australien "La grange"
Our group exhibition history dates back to 1998. More details on solo and group exhibition records are contained in selected artist biographies. Wet Season - January to April, Monday to Friday 9am-5pm, Weekend closed. The Art Centre can open for pre-arranged visits for individuals and groups on weekends through prior notice. Email manager@lockhartriverart.com.au or phone 0740607341 with your travel dates and time.